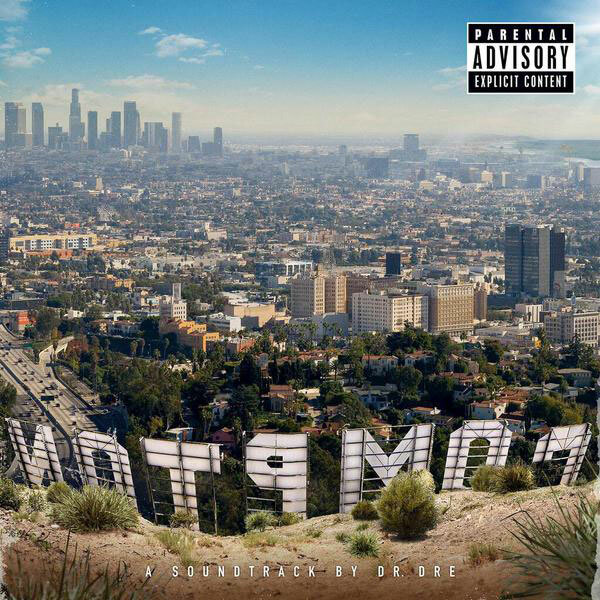 Dr. Dre announced over the weekend on his own Beats 1 radio show "The Pharmacy," the exclusive debut of "Compton: A Soundtrack" on Apple Music (via Pitchfork). The album is set to be released this Friday, August 7, and will be available exclusively to iTunes and Apple Music customers. While Dr. Dre's initial presence following Apple's acquisition of Beats in the spring of 2014 was low-key, this summer's launch of Apple Music has seen increased visibility for the rap pioneer. Thanks to the streaming service, the musician has his own weekly show on Beats 1 and even began to release some of his original music exclusively on Apple's new music platform. Great! Exactly what Apple Music needs - garbage so called music praising criminality, violence, misogyny and racism! Guess it's okay when movies, books and video games do this, but not music. Okay. 1. Dr. Dre hasn't released an album in over 15 years. His 3rd and final album was supposed to be called Detox and over time it became somewhat of a white whale, not only in hiphop but in the entire music industry. Around 2009 there were rumors that Dr. Dre had recorded around 400 songs for Detox but the album never showed up. Long story short, we all kind of assumed that Dr. Dre would never release anything else other than headphones. This is a big part of why this unreleased album that we can't even hear snippets of, is already the top selling album (of all genres) on iTunes. 2. Dr. Dre is one of the best producers in music. Songs that Dre made back in the 90s still sound great today. I can pretty much guarantee that this album will have top notch production on every track. 3. Dr. Dre introduced some of the biggest rappers of this generation including: Eminem, 50 Cent and Kendrick Lamar. 4. The hiphop genre has been overloaded with clowns like Fetty Wap, Young Thug (the names alone should tell you something) and a bunch of other talentless idiots that bring down the entire genre. It's about time that a real genuine hip hop album comes along to remind us what hip hop should sound like. For those of you wondering why there are so many features, this is because Dr. Dre is more of a producer than a rapper. ahhh because no artist in Rock/Pop/Metal/Country have ever talked about those things. This thread is full of cultural faux-elitists. Even worse - dumbass, anonymous, keyboard faux-elitists. Ghetto trash like dr dre should be fired. Hmmm. Did you happen to proofread your comment before submitting? It didn't seem a tad bigoted to you? Either you are utterly lacking in social grace or you are are racist. Maybe both. Who knows? Good luck with that. I've got news for you: all rap is trash. Complete and utter trash, save for the odd track in the 80s. The best thing that could happen to all rappers is for them to retire from inflicting their violence on the rest of the world. Perhaps we should send them all to that new planet discovered recently, where they can shout at each other to their hearts' content. Otherwise, there's always Australia, Great Britain's former penal colony. Plenty of empty space for them there (even though it's a bit hot). Feel free to present your own musical tastes for us to critique. You don't even know what race the commenter is - which actually makes you appear rayciss. Because nothing you say about your own race can be racist. Awesome news! I can't wait for the film & it's always exciting when Dr. Dre puts out some new tunes! When you diss Dre, you diss yourself. Learn about music history, and understand the monumental role that Dr. Dre has played in music. There is amazing music to be found in EVERY SINGLE genre. I just feel sorry for the close minded people that are missing out.